The International Guitar Research Archives (IGRA) holds some of the earliest articles ever published about the classical guitar, dating back to 1908. 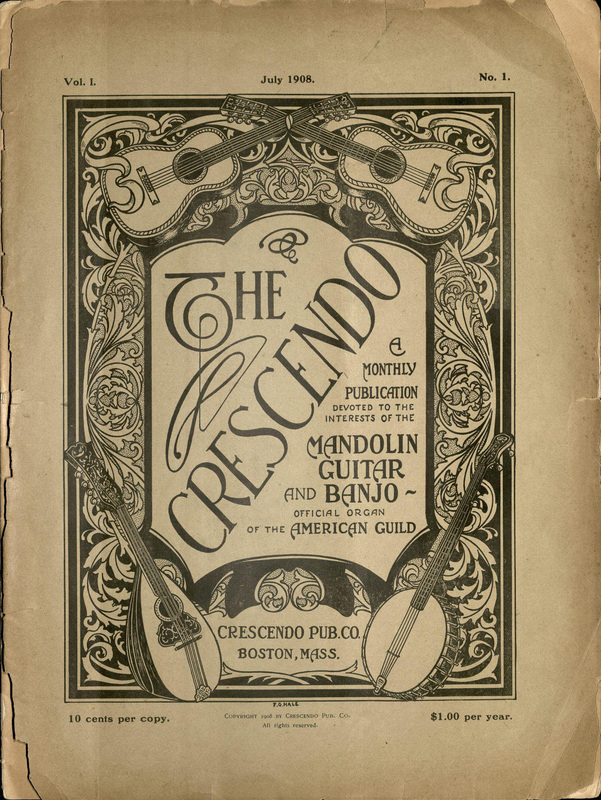 One of IGRA’s most noteworthy publications is The Crescendo: A Monthly Publication Devoted to the Interests of the Harp, Mandolin, Guitar, and Banjo, and Kindred Instruments. 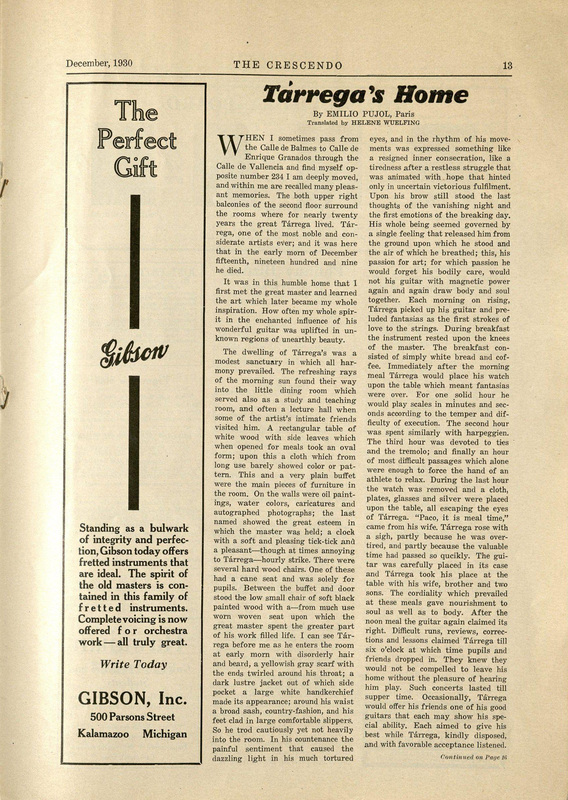 This monthly magazine was produced by the American Guild of Banjoists, Mandolinists, and Guitarists, and was published by several different publishing houses, including H. F. O’Dell & Company and the Crescendo Publishing Company, both of Boston, Massachusetts. Over The Crescendo’s twenty-six year run (1908-1934), many fascinating articles were published. One article, entitled "Tarrega’s Home," is about the great composer and guitarist Francisco Tarrega. Written by Emilio Pujol, a good friend and student of Tarrega’s, and an exceptional guitarist in his own right, the article begins with a description of Tarrega’s home where he often hosted musician friends. There is also a brief explanation of his practice habits. 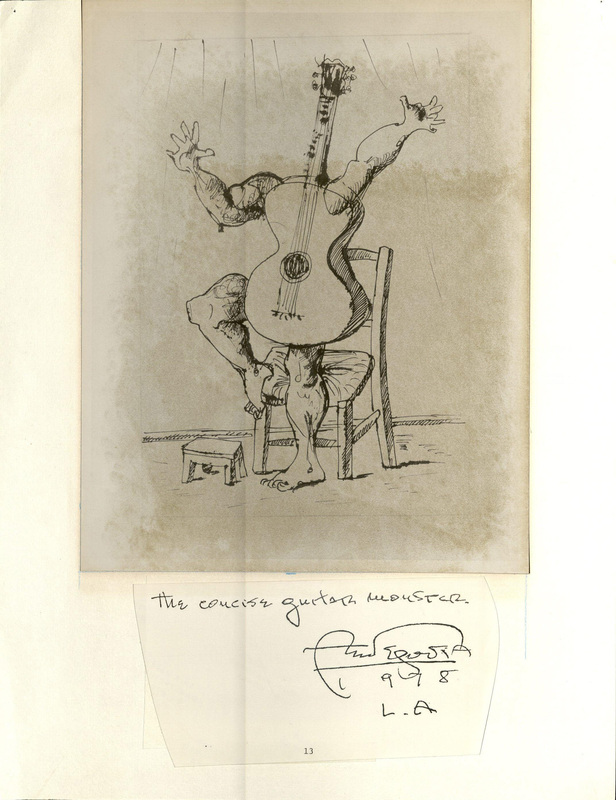 Tarrega would rise in the morning and play through some fantasias. He would eat a small breakfast of bread and coffee with the guitar resting on his knees. He would then spend 3 hours doing different technique work, followed by another hour of working through difficult passages. When his wife called, “Paco, it’s meal time!” he would eat with his family, rest, and get back to playing right after. When friends stopped by he would let them use one of his good guitars to play, while he listened intently. 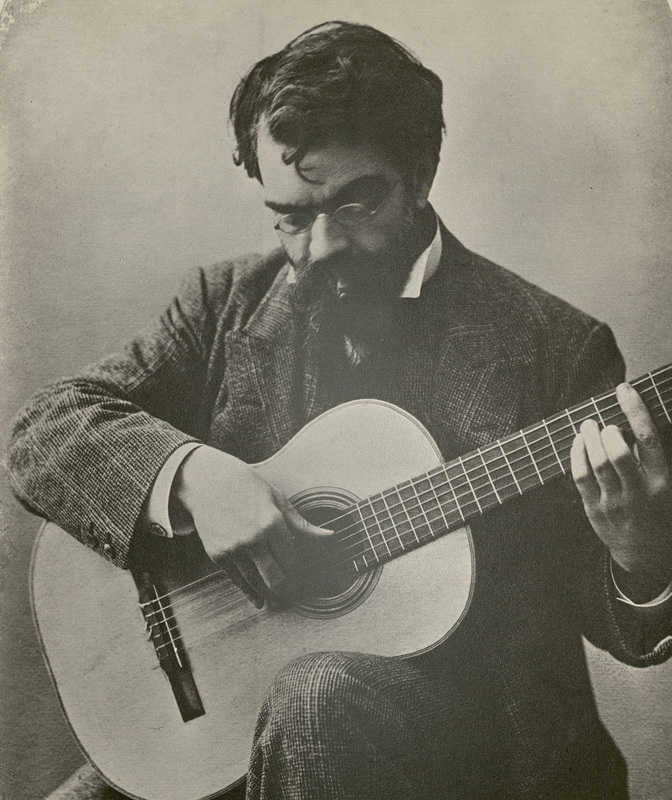 Tarrega often said that he learned from modest guitarists. This article brings to light the type of man Francisco Tarrega was from the perspective of someone who knew him well and regarded him highly. 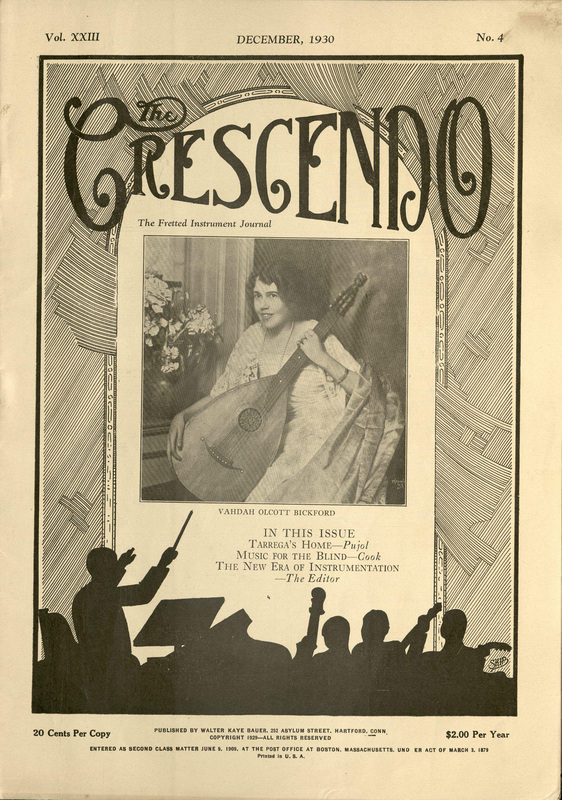 The Crescendo also included regular columns, including “A Few Thought-Provokers Concerning the Guitar,” written by Vahdah Olcott-Bickford. In one column, she discusses the fact that many students expect to play the guitar beautifully on a silver platter without much effort. Today, we have become accustomed to quick information retrieval, and often expect to learn new information and skills very quickly as a result. It is no surprise that some students of the guitar give up quickly when the results are not instantaneous. Olcott-Bickford writes in the 1920’s about how “there are no bargains in proficiency in guitar playing, no shortcuts to that goal.” Written nearly 100 years ago, it is apparent that the illusion that playing the guitar is simple and easy is a timeless one. There are also other articles by Olcott-Bickford encouraging readers to practice and gain a thorough understanding of the guitar. 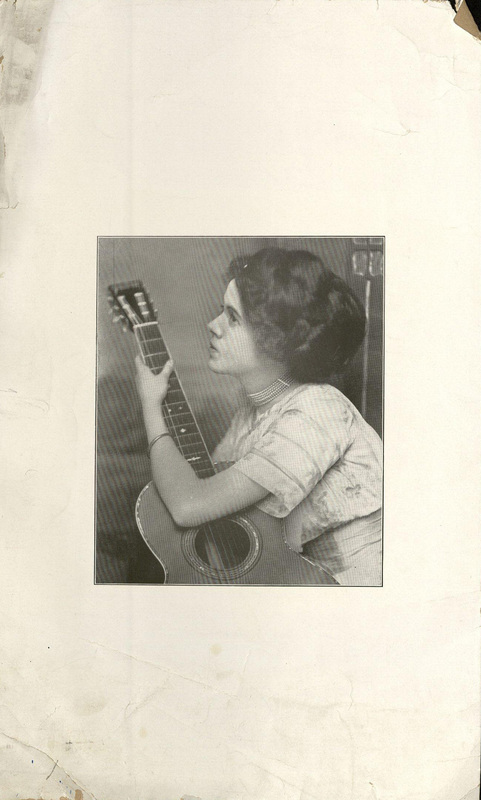 Some articles include a Q & A by Olcott-Bickford in which she answers questions from guitar enthusiasts, ranging in topic from technique, to finding scores, or making transcriptions. In one article, she addresses her philosophy on practice. She states that when practicing one must not see it as work to be done but as something to be enjoyed every step of the way. By constantly keeping the end goal or the purpose of your practice in mind, the guitarist will enjoy playing much more.